This is a fairly common use case in a lot of E-commerce projects, User has purchased something before, and needs to re-order. Or, a they’ve has added items to their shopping cart, and we need to email / SMS them a link reminding them to complete the purchase. I’ve been looking for a solution for Abandoned Cart Recovery for a while now, but one without all the bells and frills that come in the extensions online. Just needed a simple link to restore the cart contents. After a lot of googling and playing around with the cart, I got it to work. If you’re looking for a way to recover a customer’s cart contents – here’s the step by step for the same. We need to work with the CartController file, so lets make a copy of this in our local folder. Note: We’re gonna use a key here to confirm the user has indeed clicked on our link and not modified it in any way. A quick option is to use a md5 hash of the order_id with a salt keyword. //If we don’t a user refreshing the page would lead to adding the same product over and over again. And that’s it. We now have an easy URL ready to use which will populate the cart session back, and a user can picked up when he left off. How do you invoke this URL? Simple, head over to your Email Templates Section and duplicate your order email. Modify the contents. For example, you may want to remove off the “Payment Method” section, and instead add a Button that says “Complete your Purchase”. This was because we wanted to do it manually and not automate it as yet. I will be automating it at some point in the future, but for now, this works well for us. If you are looking to automate it, I’d add a cron job to check up the status of the orders every X minutes, and check for the “pending” or payment failed orders and then trigger the sending of this email. If you’ve got any modifications to the code or suggestions, drop them in the comments below. 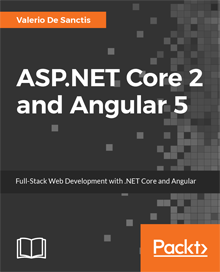 Next Article Full-Stack ASP.NET Core with Angular, React or VueJS – Is it still a viable choice in 2017-2018? Mostly a startup junkie. Dabbled around in Marketing, SEO, Magento, WordPress, Angular, etc etc. Like to help people bring their startup idea to life. Fan of the Lean Startup movement. Hit me up to know more.